Here at Rewardbase, we want everyone to have access to free mobile recharge credit. No more going to the shop or paying for recharges ever again. You signup for a free account. Simple, secure and easy. Login to your free account. You will see a dashboard of your account, along with many ways in which you can complete simple tasks to earn Reward Points (RP). Some of these offers can be really easy, like logging into the site every day! Others can be paid offers, downloads or invitations. You can filter out which you would like to see so that non-relivant offers cannot be seen. When you build up some Reward Points (RP), you trade your RP for free recharges on over 200 mobile networks worldwide. The threshold to redeem for mobile recharge is very low, so you can easily get free recharge credit with less than 30 minutes on Rewardbase. Free Recharge credit is sent to your mobile phone instantly, so you can begin to utilise it straight away. It's that easy! Register now! 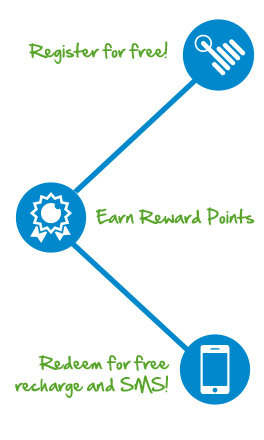 Rewardbase wants to give you free rewards for completing simple tasks. Earn Reward Points when completing qualifying activity and you can exchange points into free mobile recharge credit, free airline frequent flyer miles and gaming credit.